Executives responsible for managing the companies have to take actions that are beneficial to the organization. 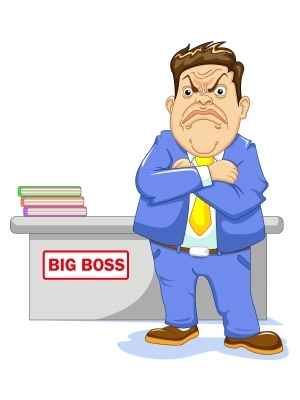 In the event of an excessive number of employees, or when they do not perform properly and cause negative effects to others, the manager or owner of the company will have no choice but to fire them. The worker should be communicated in written form the reasons why this decision has been taken. Therefore immediately we will present two examples of letter dismissing a staff member. This is to inform you that from today you are dismissed from the post of assistant accountant at El Olivar Investments. Several weeks ago you on numerous occasions has been absent from the company before the scheduled time of departure leaving their work unfinished. Besides your constant absences to our work have made the company unfortunately take the decision to dismiss. We know of your extensive experience and your great ability to adapt, so we are sure you can get a new job that suits your professional goals and objectives. The HR area is grateful for the time dedicated to our company and wishes you much success in your career. Hereby we inform you that you have been separated from the company in the position held responsible for the area of marketing promotions. The reason that R & H Company has taken this decision is his repeated truancy labor and the constant conflicts he had with the other reviewers. Our company is characterized by its seriousness and pleasant working environment, for this reason we can not tolerate that within our team who have evaded their responsibilities and refuse to align to the standards. It is unfortunate to have made this decision, but we want to tell you that is final. We know high educational qualifications you have, however there are some things to change. Our employment relationship ends today, but in a week can be submitted to Human Resources to deliver the benefits that by law you have to receive because of your respective work. We hope that these examples of letter for fire a person from your staff will help you to develop this so important document.